For many who have drifted off as it seemed Sarah Palin may not be running or because the media wasn’t slamming her recently with the frequency they have for the last two and a half years, the reaction to yesterday’s speech was fabulous. For many, Sarah Palin got her mojo back. But for those who have seen the truth and understood the power of Sarah Palin since she was named to be the VP nominee, yesterday was another great speech by a great leader. The polls may go up and down. The media coverage may run hot and cold. Poll respondents may be picking the flavor of the day: Rubio, then Cain, then West, then Christie and now Trump. But Palin supporters are tight, strong and unyielding. 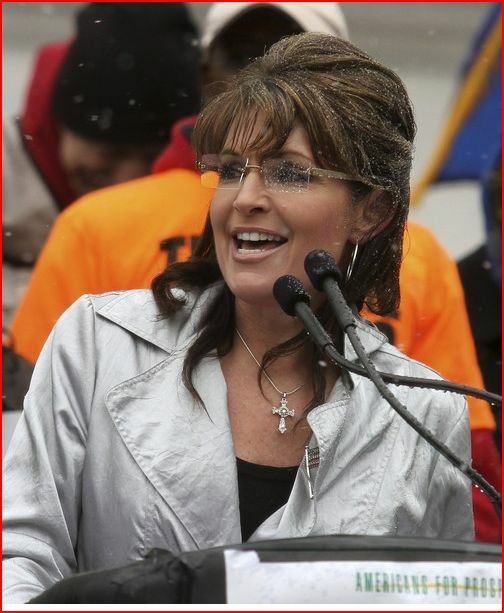 Palin supporters have known since that day she got off the plane in Arizona that she was it. Many have known it before then. When you see the AP do a hit piece on Palin’s Madison, WI speech, you know she hit the mark. Whenever the media lies about her, distorts her record or spouts vitriol about her, you know she hit her mark. Whenever the entertainment community, the left wing bloggers and the intelligentsia bash her, you know she hit her mark. Sarah Palin rode into Madison, WI yesterday and took front and center as she fired off some of the heaviest artillery she has fired off since running for Vice President. Sarah Palin was a warrior, a great Tea Party patriot and the true leader of the Palin army: a leader who leads from out front. What you saw yesterday in Madison was a woman that will fight like hell to secure our nation and get it back on track. If Republicans miss this opportunity to nominate our next great one, we will lose the fire, spirit and determination that we saw yesterday. Does anyone really think that there’s someone who can do better than that? If they do, then they need to show us that person. It’s more likely they’ve been brainwashed or they are influenced by a GOP establishment that has not recognized that the times are changing and business as usual is unacceptable to the party base. Sarah Palin has always had the mojo. Don’t let the media tell you otherwise. Breitbart: This is why the left is so afraid of Sarah Palin and this is why they are doing anything they can to stop her. The Internet has been abuzz about Governor Palin’s historic speech yesterday in Madison, Wisconsin. Her powerful speech was the closest thing we’ve heard yet to an announcement of her candidacy for President. Below are excerpts from a few of the many reports on the event. Sarah Palin rides to the sound of the guns. It was a chilly, wet and blustery afternoon in Madison, Wisconsin — one more appropriate for a late-season Packers game than a springtime political rally. The stirring NFL Films theme, “The Classic Battle,” would’ve been a more apt musical choice than Van Halen’s “Right Now” to accompany Palin as she entered the stage outside the state capital building to address thousands of Tea Party members, along with a good number of extremely hostile, expletive-hurling government union rowdies. In the last few months, political professionals and insiders have been writing off the former Alaska governor and 2008 vice presidential candidate, convinced she won’t run for the GOP nomination in 2012 or ever. Then again, even those GOPers who are running can hardly compete with the MSM’s weird, all-consuming fascination with The Donald. But all it took was one powerful, pugnacious and presidential speech — just 15 minutes long — for Palin to again make herself completely relevant to the current political and policy battles raging across America. So MSM, keep obsessing over the shiny new Trump toy if you must. But better keep an eye on a certain sharpshooting, grizzly mama. She’s back. She was feisty. She was bold. And she was gutsy. 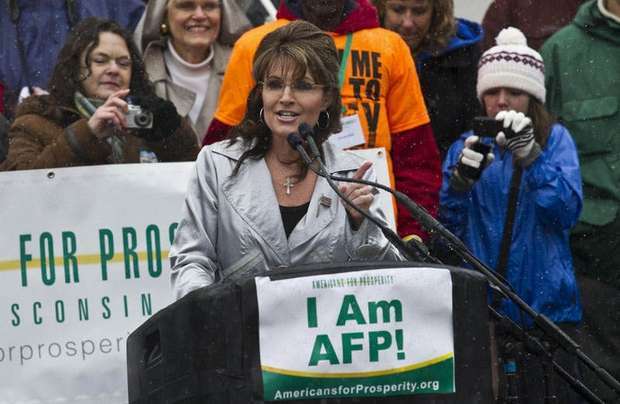 At a Tea Party rally in Madison, Wis., on Saturday, Sarah Palin pulled no punches. Palin’s Madison speech reminds us of some important things. She’s not in the least bit afraid of a tough crowd. She’ll hold members of her party accountable if they don’t keep their word. She is passionate about the Tea Partymovement and isn’t about to abandon her conservative principles in order to fit in with what’s cool in D.C. And she is one tough cookie.Most importantly, Sarah Palin sounds ready, willing, and able to tackle the Obama agenda. Like I always say, let the games begin. Sorry, Iowa and New Hampshire. Sarah Palin just redrew the electoral map in a rousing challenge to President Obama’s creeping statist agenda in front of the State House in Madison, Wisconsin this afternoon. We watched and live-tweeted her Tea Party keynote. “Sarah never does anything in the traditional way!” we protested. The conventional wisdom had it that the President himself had opened campaign season with his tin-eared, confrontational debt-reduction speech Wednesday, but disintermediating the powers that be via her own eclectic mix of media old and new, “shooting to where it’s going, not to where it’s been,” Palin once again caught traditionalists off guard. It’s ironic to watch so many so called establishment Republicans who seem to want to be leader of the free world dance their way around the more serious political battles of our time. They criticize, they pontificate, or editorialize, yet from ObamaCare to a budget deal, they’re also careful to not too directly engage. The same can be said of them for what has played out in Madison, Wisconsin over the past month. Whether it’s talking about death panels, or blood libel, to now showing up in Madison – that’s not former Alaska Governor Sarah Palin. As I said to a friend and colleague tonight, wherever the current battle is, that’s very often where you can find Palin. One of the first requirements for leadership is to show up out front. No one will ever accuse Palin of not doing that. Doing so also has an interesting side benefit for any would be leader. When you lead, people tend to follow and support you, even if not at first. Until now, I’ve never ventured a guess as to whether, or not Palin is running in 2012. Tonight, for the first time, I think I can. It’s going to be one hell of a fight, so why would Sarah Palin not show up? Sarah Palin got her groove back today with a withering attack on the House Republicans for caving completely in budget negotiations with the White House and Democrats in the Senate. Ms. Palin’s views on the FY 2011 budget deal are widely shared by conservatives all across the country. Her speech today was her best in a very long time. If Sarah Palin’s not running for president, what a terrible waste that would be of the single best stump speech I’ve heard since, well, Palin’s ’08 convention speech, which just happened to be the single most electrifying political moment of my adult life. A thrill didn’t just run up my leg that night, it ran up everything in me that’s American, and today in Madison, WI, it happened again. Surrounded by an obnoxiously hostile, astro-turfed, pro-union crowd that tried and failed to drown out her message with obnoxiously hostile astro-turfed noise, the former Alaskan Governor took the fight directly to the growing pile of Obama’s failures in the most effective way we’ve heard yet from a potential GOP challenger. You see what else she did there? Exactly what she did as a reform-minded governor in Alaska. She called the GOP Establishment out for everything they’re doing wrong, appealed to reasonable rank-and-file union members disgusted by their leadership, and reaffirmed her own proud union credentials. Better yet, she also launched the kind of tight, sharp, and articulate attack on President Obama’s failed presidency that likely has the White House — and their media allies — loosening their ties, clearing their throats, and looking for any word she might have mispronounced as an excuse to drown out her appealing message with the furtherance of a cruel “stupid” narrative they’ve been failing at for two-plus years. I’ll ask again: How can someone so “dumb” be so right about everything? On this day, Tea Party tax-day, Sarah Palin walked into the heart of this nation’s battle, stared down a gallery of Leftist union goons with poise and grace, and articulated our message as well as anyone ever could. Let’s hope this is just the beginning. I have heard the Governor speak many times–both in person and on television and the internet. However, I have never heard her as fired up as she was today. She was bold, courageous, and clear on the direction America is going and the need to right the ship. And she left the stage. I believe you get the picture. We’re here, we’re clear, get used to it! At her Tea Party rally speech today in Madison Wisconsin, the scene of her triumph in the victory of Judge Prosser-where she was the only main possible candidate to have the guts to stand up and endorse him, reports say 15,000 attended, in appalling weather, and it was reported over 20,000,000 watched her speech live on CBS. The grass roots have gone into waves of enthusiasm over her fighting speech “fight like a girl” where she got stuck into both the GOP leadership for not fighting for economic sanity, using the victory from last November as their spearhead, and President Obama for…well everything. This speech was definitely history in the making. As I wrote in my blog post, Sarah went after the union fat cats, the Republican Party establishment, and especially Barack Obama. She praised Governor Scott Walker, as well as the state Republican legislators and the Tea Partiers who stood for the needed fiscal reforms (if only my own Governor, Mitch Daniels, had a spine like Governor Walker’s!). The fire which came out of Sarah not only fired up all of us, but it also ensured the union protestors who tried to boo her and drown her out with their own chants were themselves drowned out by her words and the cheers of the Tea Partiers there. I can’t say I saw any snow in the video footage, and I’m not surprised; Sarah’s fiery speech must’ve melted the snow! There’s not much I can say about how I felt after her speech. Not only was I fired up, I was also reaffirmed in my belief that Sarah is the best person out there today for the job of leading America back onto the right direction, and it was more motivating than anything I have heard from any of the other potential candidates seeking the Republican nomination for 2012 (hearing the sound byte from Tim Pawlenty, for instance, where he borrowed the phrase “You’re fired” from Donald Trump, would’ve been good if he hadn’t sounded so boring!). With her editorials, Facebook posts, Tweets, and speeches like yesterday’s, Sarah showed why the Left, the media and Barack Obama are afraid of her. As Jedediah Bila said so well and so simply, Sarah rocked Madison. I thank God for this woman. May she, and all of us Palinistas, continue fighting the good fight. For all those people who waited for a “signal” from @SarahPalinUSA . Today she sent it, loud and clear! For links to additional articles about Governor Palin’s awesome speech, visit our Madison WI Tax Day Tea Party page. The video of Governor Palin’s speech can be found here, and the transcript of her speech can be found in her Facebook note here. Also please take time to vote in our poll: When Will SarahPalin Announce? First off, I’d like to say thanks to all of you who have welcomed me as a contributor. Admittedly, except for one e-mail, I haven’t received any greetings (and I don’t know why the bounceback from my e-mail address occurred). I consider it an honor to be able to contribute anything here at a blog where so many of Sarah’s strongest and most vocal supporters contribute. I decided for my first post here, instead of cross-posting what I just published at Hoosiers For Sarah Palin, I would elaborate on what I wrote today about Sarah’s speech at the Tea Party rally in Madison, Wisconsin yesterday afternoon. To start with, I had actually forgotten that Sarah was to speak in Madison when I went onto the CBS News website to watch the livestream of the rally. I remember hearing a memorable phrase by one of the speakers when addressing a reference to the the famous sleeping giant quote (if I get this wrong, my apologies): “We’re weren’t asleep, just at work.” Andrew Breitbart spoke next and I loved his “Go to hell!” to Richard Trumka. I noticed the chat stream on the website was going as fast as bullets, but the intensity of these “bullets” grew the very moment Sarah came to the podium. There were comments appearing and disappearing, either supporting Sarah or attacking her, one going so far as derogatorily mocking her by chanting the word uterus. Thankfully, supporters of Sarah drowned him out (so to speak) with chants of Sarah! Sarah! Sarah! Sarah!. All the media meme’s that Palin is finished.irrelevant ,is not a contender etc are, once again, shown to be totally wrong and wishful thinking. At the “Women of Joy” conference in Oklahoma City Palin got a rapturous standing ovation from the 9000 strong crowd. Palin is not back… she never left, it was just the media and the Dem’s who have tried to sideline her, especially with their touting of the ridiculous Trump “campaign”. Here are some major links to the reports of her speech which is being compared to her 2008 convention speech for its power and significance. Gateway Pundit has photo’s and great commentary including pre-event remarks. As on all sites the comment section is going nuts with enthusiasm. Conservatives4Palin as you would expect is waxing lyrical.The comments section is wonderful for the fighting exuberance. I was honored to be in Madison, Wisconsin, yesterday with a group of strong patriots willing to rough the snow and cold to stand together in solidarity. You can see a video of the speech here and below is a transcript. Hello Madison, Wisconsin! You look good. I feel like I’m at home. This is beautiful. Madison, I am proud to get to be with you today. Madison, these are the frontlines in the battle for the future of our country. This is where the line has been drawn in the sand. And I am proud to stand with you today in solidarity. I am here today as a patriot, as a taxpayer, as a former union member, and as the wife of a union member. What I have to say today I say it to our good patriotic brothers and sisters who are in unions. I say this, too, proudly standing here as the daughter of a family full of school teachers. My parents, my grandparents, aunt, cousins, brother, sister – so many of these good folks are living on teachers’ pensions, having worked or are still working in education. A pension is a promise that must be kept. Now, your Governor Scott Walker understands this. He understands that states must be solvent in order to keep their promises. And that’s what he’s trying to do. He’s not trying to hurt union members. Hey, folks, he’s trying to save your jobs and your pensions! But unfortunately some of your union bosses don’t understand this, and they don’t care if union members have to be laid off. No, they want to protect their own power, and if that means forcing a governor to lay off union workers, then so be it; they’ve proven that that is fine with them. But that’s not real solidarity! Real solidarity means coming together for the common good. This Tea Party movement is real solidarity! Well, I am in Madison today because this is where real courage and real integrity can be found. Courage is your governor and your legislators standing strong in the face of death threats and thug tactics. Courage is you all standing strong with them! You saw the forces aligned against fiscal reform. You saw the obstruction and the destruction. You saw these violent rent-a-mobs trash your capital and vandalize businesses. Madison, you held your ground. Your governor did the right thing. And you won. Your beautiful state won. And you know what – people still have their jobs because of it! That’s courage. And that’s integrity. And that’s something that’s sorely missing in the Beltway today. Because let me tell you what isn’t courageous: It’s politicians promising the American voters that, as we drown in $14.5 trillion debt, that they’re going to cut $100 billion out of this year’s budget. But then they cave on that and they reduce it down to $61 billion after they get elected. Then they get in there and they strike a deal and decide, nah, they will reduce that down to $38 billion. And then after some politics-as-usual and accounting gimmicks, we find out it’s not $38 billion in cuts. You know that $38 billion – we don’t have it; we’re borrowing it. We borrow from foreign countries to give to foreign countries, and that’s insanity. We find out it’s not even $38 billion; it’s less than $1 billion in real cuts. Folks, that $352 million in real cuts – that’s no more than the federal government is going to spend in the time it takes us to hold this rally today! That is not courage; that’s capitulation! Now, there’s a lesson here for the Beltway politicos, something they need to understand; the lesson comes from here in Madison. So, our lesson is to the GOP establishment first. And yeah, I’ll take on the GOP establishment. What more can they say about us, you know? So, to the GOP establishment: if you stand on the platform, if you stand by your pledges, we will stand with you. We will fight with you, GOP. We have your back. Together we will win because America will win! We didn’t elect you just to re-arrange the deck chairs on a sinking Titanic. We didn’t elect you to just stand back and watch Obama re-distribute those deck chairs. What we need is for you to stand up, GOP, and fight. Maybe I should ask some of the Badger women’s hockey team—those champions—maybe I should ask them if we should be suggesting to GOP leaders they need to learn how to fight like a girl! And speaking of President Obama, I think we ought to pay tribute to him today at this Tax Day Tea Party because really he’s the inspiration for why we’re here today. That’s right. The Tea Party Movement wouldn’t exist without Barack Obama. You see, Candidate Obama didn’t have a record while he was in office; but President Obama certainly has a record, and that’s why we’re here. And hey, media, it’s not inciting violence and it’s not hateful rhetoric to call someone out on their record, so that’s what we’re going to do. We’re going to do it to be clear. That’s right: we’re here, we’re clear, get used to it! Candidate Obama promised to be fiscally responsible. He promised to cut the deficit; but President Obama tripled it! Candidate Obama promised that fiscal responsibility; but President Obama flushed a trillion dollars down the drain on a useless “stimulus” package and then he bragged about the jobs he “created” in congressional districts that don’t even exist! That’s right; on this, White House, you lie. The only thing that trillion-dollar travesty stimulated was a debt-crisis and a Tea Party! Now, the left’s irresponsible and radical policies awakened a sleeping America so that we understood finally what it was that we were about to lose. We were about to lose the blessings of liberty and prosperity. They caused the working men and women of this country to get up off their sofas, to come down from the deer stand, get out of the duck blind, and hit the streets, come to the town halls, and finally to the ballot box. And Tea Party Americans won an electoral victory of historic proportions last November. We the people, we rose up and we decisively rejected the left’s big government agenda. We don’t want it. We can’t afford it. And we are unwilling to pay for it. But what was the president’s reaction to this mandate for fiscal sanity? Less than 90 days after the election, in his State of the Union address, President Obama told us, nah, the era of big government is here to stay, and we’re going to pay for it whether we want to or not. Instead of reducing spending, they’re going to “Win The Future” by “investing” more of your hard-earned money in some cockamamie harebrained ideas like more solar shingles, more really fast trains – some things that venture capitalists will tell you are non-starters. We’re flat broke, but he thinks these solar shingles and really fast trains will magically save us. So now he’s shouting “all aboard” his bullet train to bankruptcy. “Win The Future”? W.T.F. is about right. And when Wisconsin’s own Paul Ryan presented a plan for fiscal reform, what was Obama’s response? He demonized the voices of responsibility with class warfare and with fearmongering. And I say personally to our president: Hey, parent to parent, Barack Obama, for shame for you to suggest that the heart of the commonsense conservative movement would do anything to harm our esteemed elders, to harm our children with Down syndrome, to harm those most in need. No, see, in our book, you prioritize appropriately and those who need the help will get the help. The only way we do that is to be wise and prudent and to budget according to the right priorities. Now, our president isn’t leading, he’s punting on this debt crisis. The only future Barack Obama is trying to win is his own re-election! He’s willing to mortgage your children’s future to ensure his own. And that is not the audacity of hope. That’s cynicism! Piling more debt onto our children and grandchildren is not courage. No, that’s cowardice! But did you notice when he gave that polarizing speech last week there was a little gem in the speech. Maybe you missed it. But he spoke about the social contract and the “social compact.” Well, Mr. President, the most basic tenet in that social compact is adhering to the consent of the governed. That would be “We the People.” President Obama, you do not have our consent. You didn’t have it in November. And you certainly don’t have it now. You willfully ignored the will of the American people. You ignored it when you rammed through Obamacare. You ignored it when you drove up the debt to $14.5 trillion. You ignored it when you misrepresented your deficit spending. You ignored it when you proposed massive tax increases on the middle class and our job creators. You ignored is when you went to bat for government-funded abortions and yet you threw our brave men and women in uniform under the bus, Mr. Commander in Chief. You ignored it when you got us into a third war for fuzzy and inconsistent reasons, a third war that we cannot afford. You ignore it when you apologize for America while you bow and kowtow to our enemies, and you snub our allies like Israel. And you ignore when you manipulate the U.S. oil supply. You cut off oil development here and then you hypocritically praise foreign countries for their drilling. And when hardworking families are hit with $4 and $5 a gallon gas and your skyrocketing energy and food prices as you set out to fundamentally transform America, you ignore our concerns and you tell us we just better get used to it. Well, Mr. President, we’re not going to get used to it. Not now. Not ever. You ignored us in 2010. But you cannot ignore us in 2012. Mr. President, you and your cohorts threw all the hatred and all the violence you could at these good folks in Madison, Wisconsin. But you lost here. And Madison, you defended the 2010 electoral mandate. You are heroes, you are patriots, and when the history of this Tea Party Movement is written, what you accomplished here will not be forgotten. Your historic stand brought down the curtain on the last election. And the 2012 election begins here. We will take the courage and the integrity that you showed all of America. We will take it and we will win back our country! 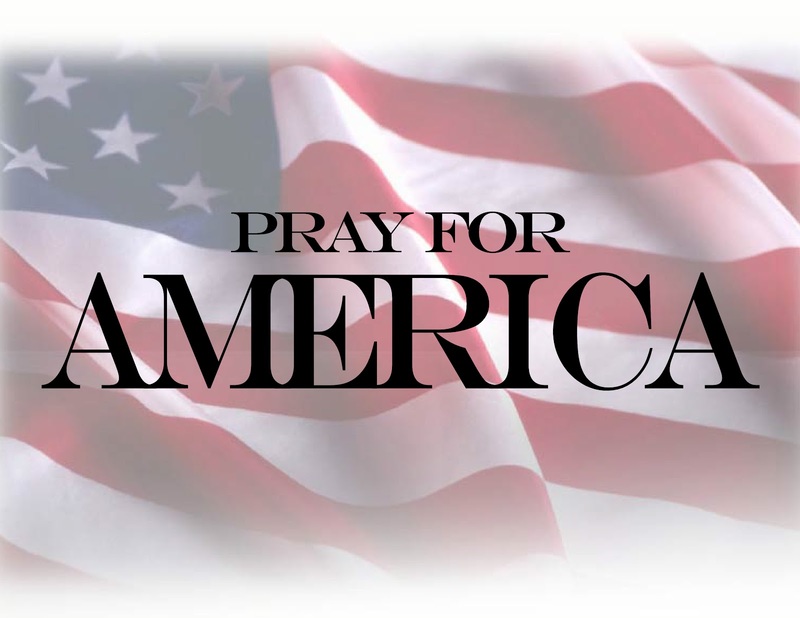 God has shed His grace on thee, America. We will not squander what we have. We will fight for America! And it starts here in Madison, Wisconsin! It starts here! It starts now! What better place than the state that hosts the Super Bowl champs, to call out the liberal left and let them know: Mr. President, game on! God bless you, Wisconsin, and God bless America! I have heard the Governor speak many times–both in person and on television and the internet. However, I have never heard her as fired up as she was yesterday. She was bold, courageous, and clear on the direction America is going and the need to right the ship. UPDATE: You can watch the speech here at The Right Scoop. As soon as I’m able to embed it here, I will do so. Enjoy!